View More In School Supply Storage Boxes. 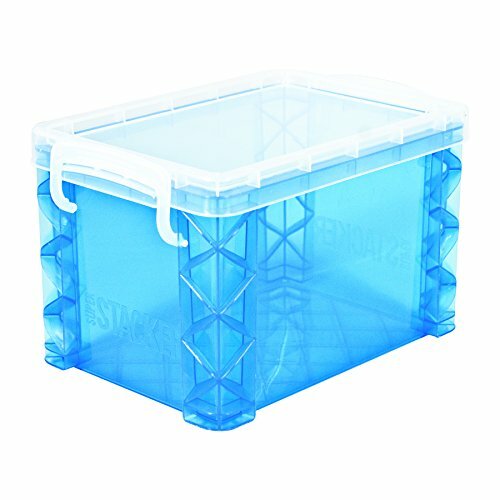 The Super Stacker 4 x 6 Box is perfect for photo storage, scissors, markers and other miscellaneous school supplies. Lock tight handles keep contents secure, while stackable design helps save space. Possible assorted colors: clear, blue, purple, berry, green.